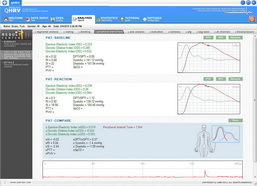 The QHRV Endothelial System allows doctors to identify, measure then monitor endothelial function. This enables specialists to isolate pathological cases of endothelial dysfunction at the earliest stages thereby facilitating timely detection and treatment. 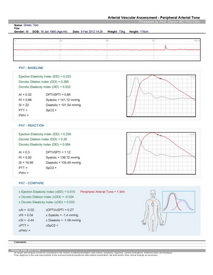 Peripheral Arterial Tone (PAT) is a proprietary technology designed to measure changes in arterial tone in peripheral arterial beds. The PAT signal is recorded using a fingertip monitor that measures arterial pulsatile volume changes. This information provides a window into the cardiovascular and autonomic nervous system. The noninvasive Endothelial System supports a pair of modified plethysmographic bio-sensors based on PAT assessment technology. This state-of-the-art method prevents distal venous blood pooling which can lead to a veno-arteriolar vasoconstriction reflex. 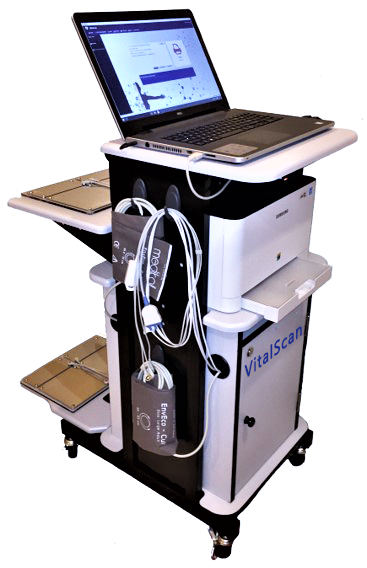 The QHRV Endothelial System utilizes PAT technology to measure endothelium-mediated changes in vascular tone. PAT technology uses a simple and noninvasive finger probe or biosensor. The fingertip biosensor non-invasively measures finger arterial pulsatile volume changes by collecting the PAT signal.